Ideal Occlusion – a complete and harmonious relationship of the teeth and masticatory (chewing) system. Impacted Tooth – an unerupted or partially erupted tooth that will not fully erupt into the mouth due to an obstruction. 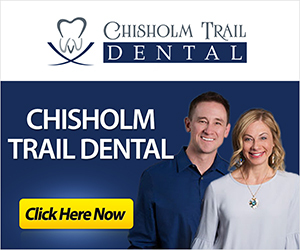 Implant – a dental implant is an artificial root that replaces the root of a natural tooth. 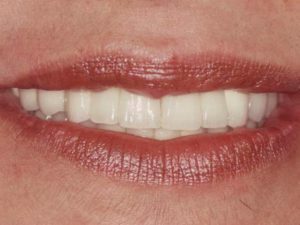 Implants are permanent restorations designed to look, feel, and function like natural teeth. Impression – a copy of the mouth made using an elastic material. Impressions can also be taken fabricated digitally. 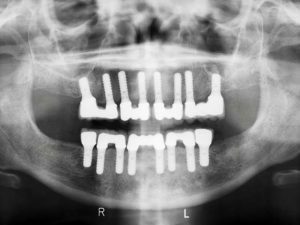 Impression Tray – a tray formed in the general shape of the mouth, used for taking impressions. Most impression trays, or stock trays, are made of plastic. Incisal Edge – the cutting edge, ridge, or surface of anterior (front) teeth. Incision – a cut; a surgical wound; a division of body parts, usually made with a scalpel. Inhalation Sedation – a form of sedation that is used most often in dentistry. The most common inhalation sedation is nitrous oxide, or laughing gas. This makes patients feel calm and relaxed while remaining awake during their treatment. Inlay – dental inlays, also known as partial crowns, are a custom-made filling cemented into the tooth. They are typically made of gold, porcelain, or composite materials. 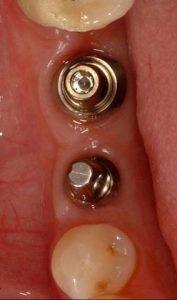 If the inlay covers the tips of the teeth, it is referred to as an onlay. 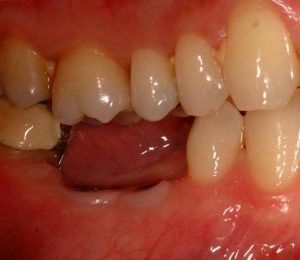 Intercuspation – interlocking; a cusp-to-a-fossa relationship of the maxillary (upper) to mandibular (lower) teeth. Intraoral – inside the mouth. Intravenous Sedation – also known as IV sedation, this involves administering a sedative directly into the bloodstream. Patients with IV sedation will be unconscious during their treatment. Iontophor – the process of introducing a drug through the dental enamel via an electric current, often used in the treatment of dentin hypersensitivity.